One of the biggest money-spinners for Islamic State terrorists is transporting illegal drugs from Afghanistan to Europe through Turkey and the Balkans, according to the head of Russia’s federal anti-drug agency FKSN. Ivanov added that so far the heroin transported to the European Union via Turkey and the Balkans yields Islamic State (IS, previously ISIS/ISIL) about $150 billion for distribution to members of the criminal chain. “This money is getting into the criminal turnover and destabilizes the situation in the transit countries. Turkey is exactly such a country,” Ivanov told reporters. In July, Russia’s top drug enforcer spoke at an international anti-trafficking conference in Gambia and said that the $500 billion annual income from illegal drug trade was the financial and organizational basis for new terrorist organizations, such as Boko Haram, Islamic State and others. “Illegal drugs are a kind of gold and foreign currency reserves for quasi-state groups,” he said. In March, Ivanov said in a press interview that IS made up to $1 billion annually from Afghan heroin trafficked through its territory. 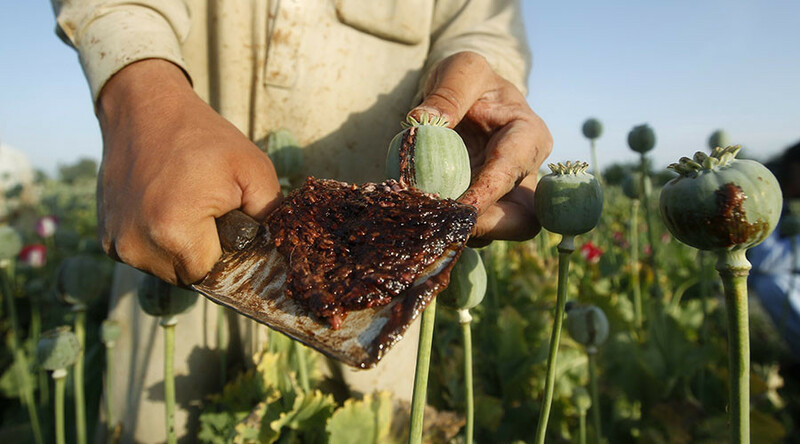 He predicted another record-high poppy harvest in the terrorist-controlled lands, and urged countries to raise the issue of fighting the IS drugs trade at the highest international level, including at the UN, saying it represents a global security threat.